The five-time Tony Award winning musical, Titanic, is launching its first ever UK Tour from Southampton next April, in the week of the disaster’s 106th anniversary. Based on the true stories of people aboard the world’s most legendary ship, Maury Yeston and Peter Stone’s stunning musical focuses on their hopes and aspirations. Unaware of the fate that awaits them, the Third Class immigrants dream of a better life in America, the newly-enfranchised Second Class dream of achieving the lifestyles of the rich and famous, and the millionaire Barons of the First Class dream of their mastery lasting forever. In the final hour of 14th April 1912, the RMS Titanic, on her maiden voyage from Southampton to New York, collided with an iceberg and ‘the unsinkable ship’ slowly sank. It was one of the most tragic and infamous disasters of the 20th Century. 1517 men, women and children lost their lives. Having received its UK premiere in 2013 at Southwark Playhouse, the production returned to London in 2016 for an 11-week season at the Charing Cross Theatre, where it won overwhelming critical acclaim (read Stage Review’s five-star verdict on the show here). 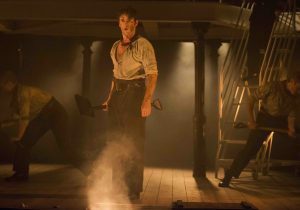 Opening at the Mayflower Theatre, Southampton in April 2018, in the same city and same month in which the RMS Titanic set sail, the critically acclaimed, multi award-winning production will transfer straight to Belfast, where the ship was constructed. From there, Titanic The Musical will visit 12 theatres nationwide. Maury Yeston said: “The idea that a troupe of actors will tour this show in the UK, birthplace of the ship, where the workers of Belfast, the cabin boys and maids and stewards from Liverpool, the officers and crew, the stokers and stevedores from the Midlands all created a miraculous floating city, means more to me than I can say. 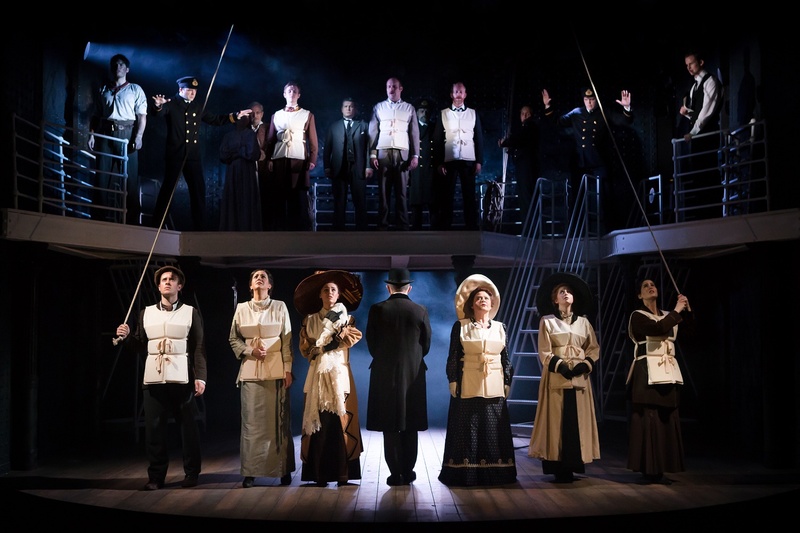 Titanic The Musical has music and lyrics by Maury Yeston (Nine, Grand Hotel, Phantom) and a book by Peter Stone (Woman of the Year and 1776). The pair have collectively won, including their previous works, an Academy Award, an Emmy Award, an Olivier Award and three Tony Awards for their works. The original Broadway production of Titanic The Musical won five Tony Awards, including Best Musical, Best Score and Best Book. 16 – 21 July, Churchill Theatre, Bromley.